Watch the best Bollywood wedding songs in this one hour jukebox! 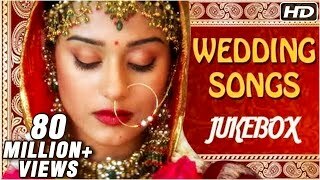 Since marriage has no season and it's thoroughly incomplete without Naach, Gaana and Bajana, we bring you an all time super hit collection of marriage songs in the form of a jukebox. Listen to the hit numbers back to back or you can select your favorite track from the Menu and shuffle between the songs. Enjoy!